Hello, lovelies~ For someone with an oily skin type, I have always looked forward to a product that can help make my makeup last longer or even have a great oil control Thus, my love towards face primers mounted ever since I found out their important role on my combination-oily skin type. Let's take a look at this 'miracle' product up close, shall we? The face primer comes in white squeeze tube with a twist off black cap, complete with the aluminium foil seal on the dispensing end. The hole isn't too big, so I can control how much I want to dispense the product. This is a silicone-based primer, so be wary for those who are allergic to this ingredient. It contains silica that has the ability to control excess oil on the surface of the skin. This primer also has a combination of Vitamin E & Marula seed oil, which could spell trouble for those with oily skin as it is moisturizing. The consistency of this primer comes as a surprise to me because I thought it was going to resemble Benefit POREfessional or Smashbox Photo Finish, but no. When I squeezed it out, it didn't come out smoothly, but more like a gunk of old transparent primer that clumps. Honestly, I was skeptical at this point. I even thought that mine was a dud, lol. 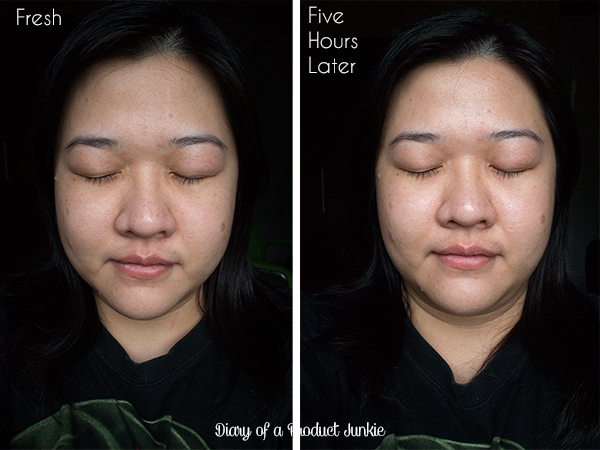 Despite the doubtful-looking primer, it spreads easily and sinks in into the crevices of my skin, creating a smooth surface for any makeup to adhere on. 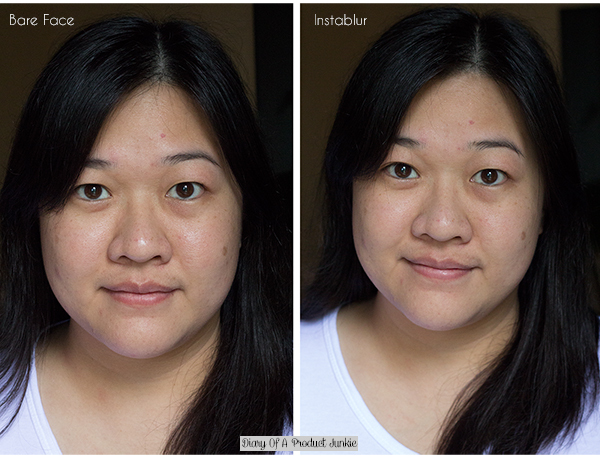 I tested it on my pores and surely enough it 'blurs' out most of them to some extent on pictures. On a closer look, the pores are still visible, though. 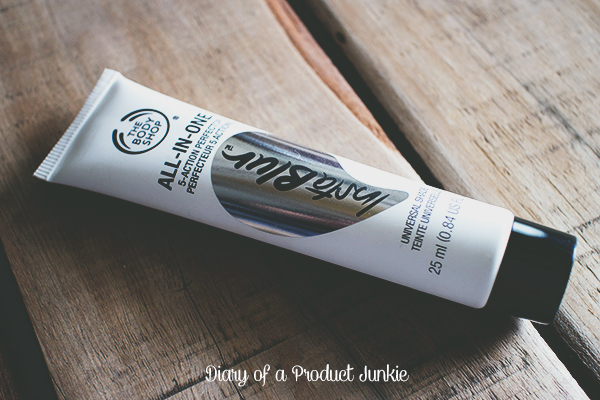 Applying foundation on top of this primer gives it a matte finish, with a good oil control. The foundation glides on smoothly on top of the primed-surface and lasted longer. The photos above are not retouched, not even brightening! Just watermarked and collaged side by side. As for shine control, it kept my face shine free for five hours, in an air-conditioned room. After that, it just looks slightly shiny. I think the primer is able to hold my excess oil for an estimate of 6 -7 hours, had I not removed it. 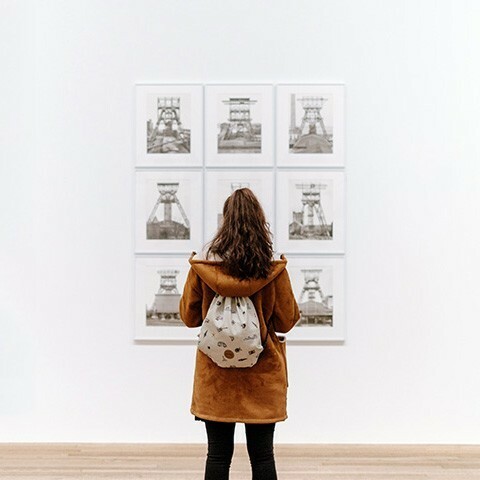 However, the longevity would decrease in half (around 3 hours) if I were to do my activities outdoor in a hot and humid environment. 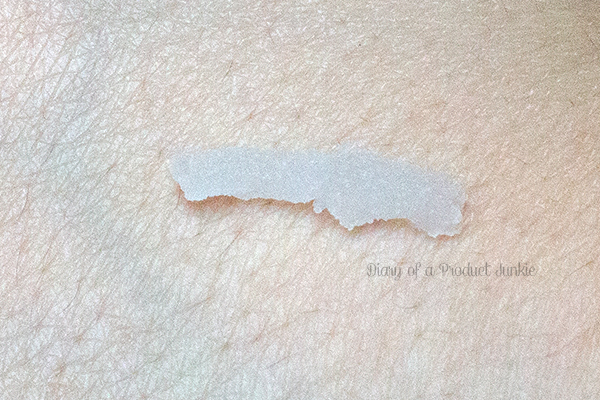 To conclude this review, I enjoyed the feel of silkiness this primer gives my skin. 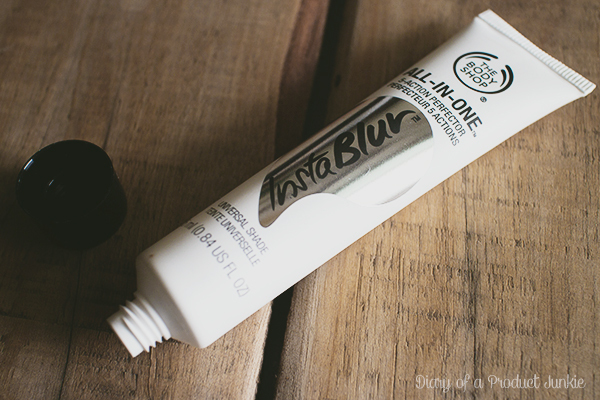 It mattifies my skin effortlessly and gives a smooth canvas for foundation to adhere on. Had it not contain vitamin E (which I am sensitive to), this would have been my favorite primer, next to Benefit POREfessional. 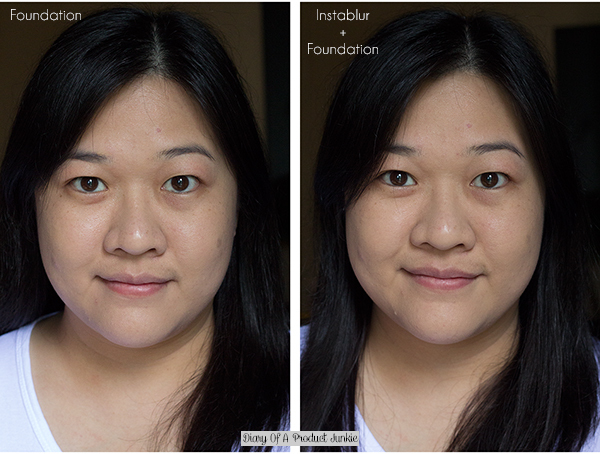 I can't really tell the difference though (after foundie), still...foundie's giving more blur imo, haha~ but nice product anyway ♥ mattifying ftw!